Okay, maybe you need these maybe you don’t but it’s always interesting to discover new gadgets and see how they work. Some gadgets simply have such interesting design it’s fun just to look at them. Of course, when buying gadgets it’s important to estimate their potential use in the house to avoid cluttering the kitchen with fun but unused tools. Need to precisely measure the ingredients? Spoon Scale is like a regular spoon only it has built-in scales in the handle that weight anything that is in the spoon. 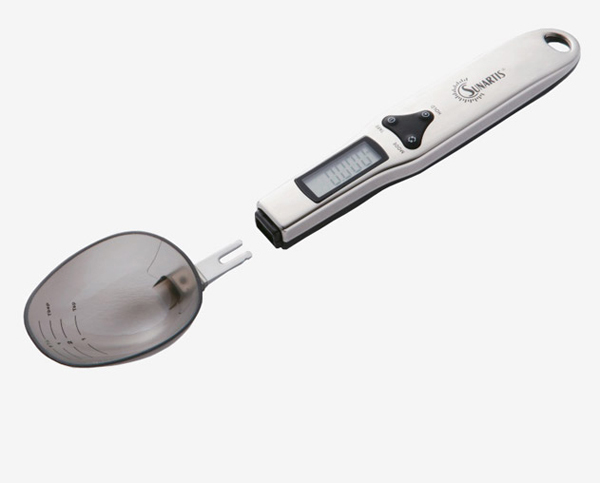 Very handy and easy to use the spoon scale will measure ingredients as you cook. Love olives? 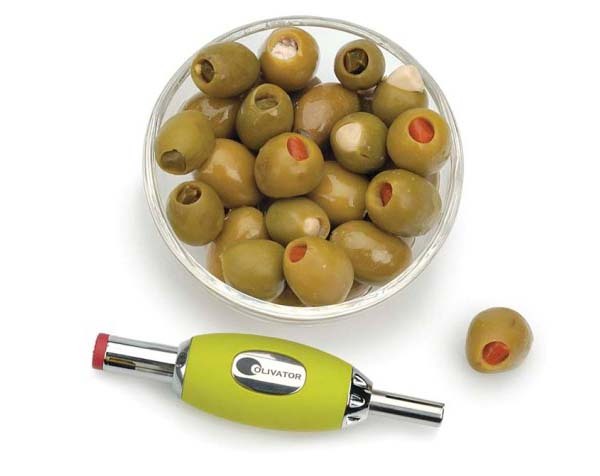 This Olivator from RSVP gadget will help easily stuff olives with filling like cheese or pepper to make a perfect appetizer. Unfortunately it’s not made for pitting olives which would simply be perfect and space-saving as well. 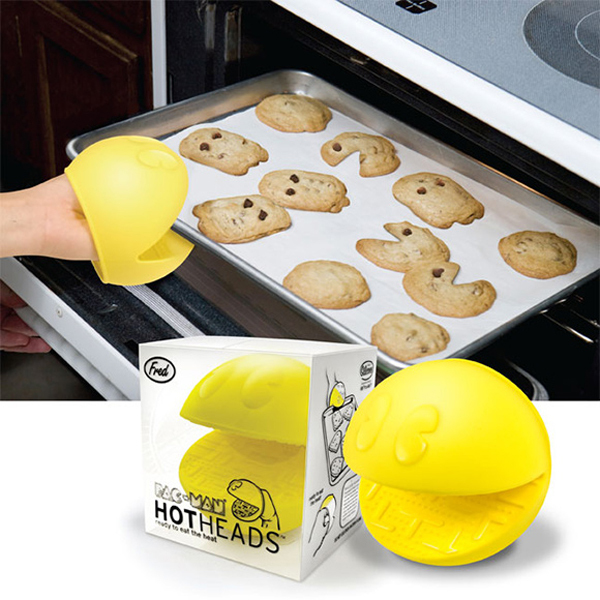 Pacman silicone hothead is a fun and playful oven mitt that will protect your hands from heat while you’re taking out fresh cookies or pies out of the oven.